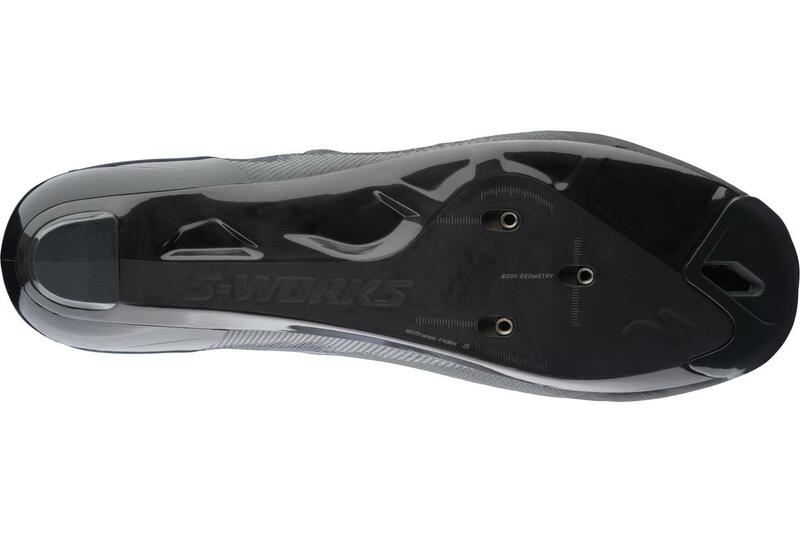 Specialized shoes have long been popular with Bespoke Cycling customers, but its S-Works 6 shoes launched a few years ago really took things to another level with twin Boa dials and a sleek new upper. 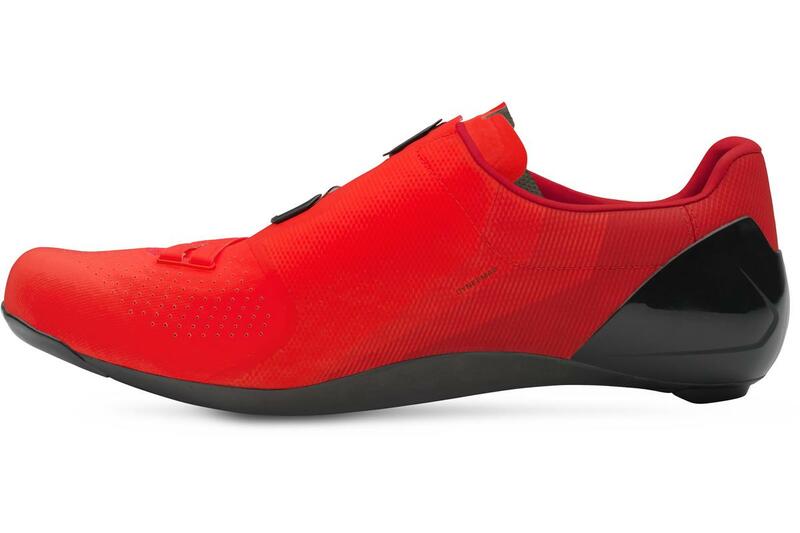 Specialized had two key goals in mind with the new shoe; to increase comfort and improve the stiffness. 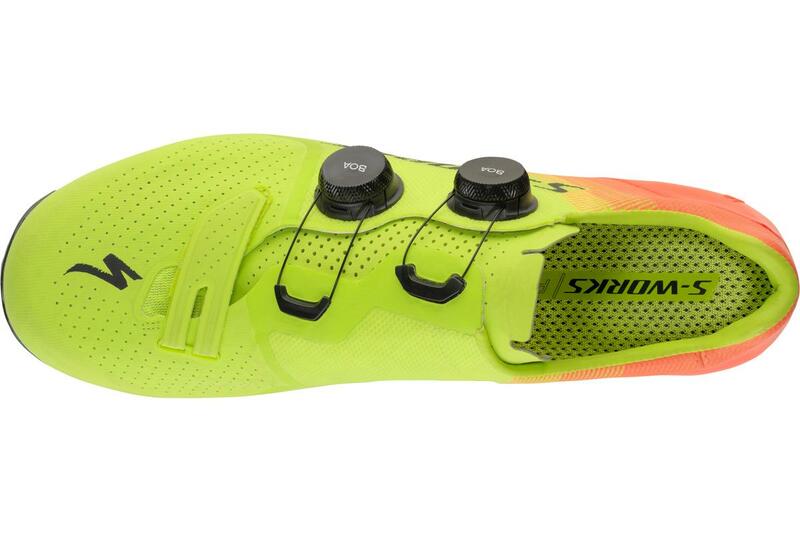 Feedback from customers led to a focus on improving the comfort, while its many sponsored pro cyclists, like Peter Sagan, wanted more stiffness when they're putting out considerable power. First, that focus on comfort. 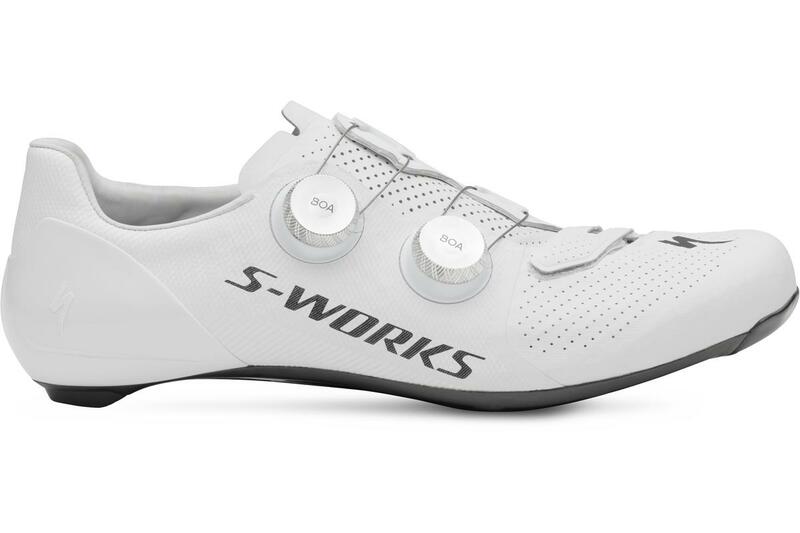 The S-Works 6 could hardly be described as uncomfortable, but Specialized has made a few interesting changes to the new shoes. There's a wider heel cup intended to provide a more comfortable grip on the back of the foot whilst also minimising heel lift. Volume has been increased in the midfoot and toebox areas, there's a new padded tongue with an off-set closure and offset dials to reduce pressure across the top of the foot. The Dyneema Mesh upper has been refined with a one-piece construction to eliminate stitching. It's a material that is sandwiched between a four-way stretch mesh and TPU to provide areas of no-stretch to deliver a very secure fit. And there are all-new Boa S3 dials, the most noticeable change in the new shoes. These new dials are exclusive to Specialized and have an all-metal CNC machined construction for extra durability and feel much nicer and slicker to operate, with micro adjustments to tighten or loosen. They're quieter too. 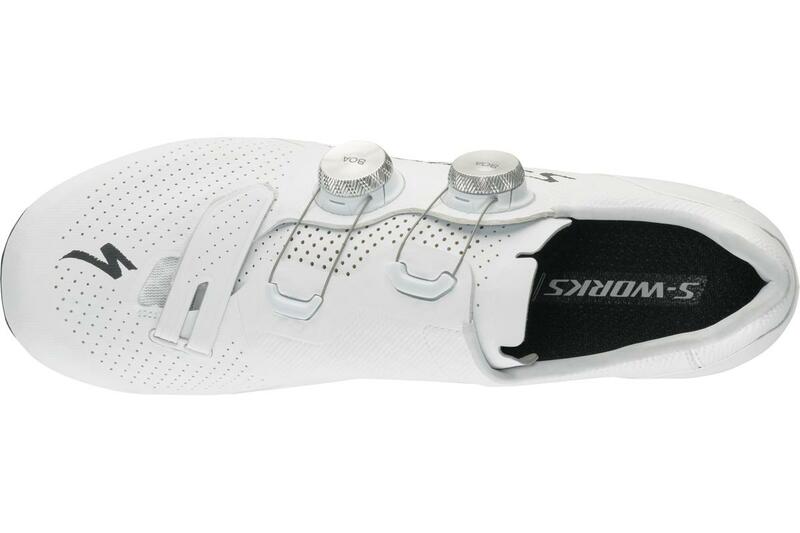 The Boa dials are now offset across the top of the shoe to better spread the pressure. They're also bonded to the shoe to further eliminate discomfort. Naturally, the shoe retains all the signature Body Geometry features that many people have grown to love over the years. The science behind the Body Geometry was instrumented by Dr Andy Pruitt man years ago and is designed to provide perfect arch support, foot alignment and prevent numbness and hot spots. More stiffness is a common request from pro cyclists, and Specialized has responded. 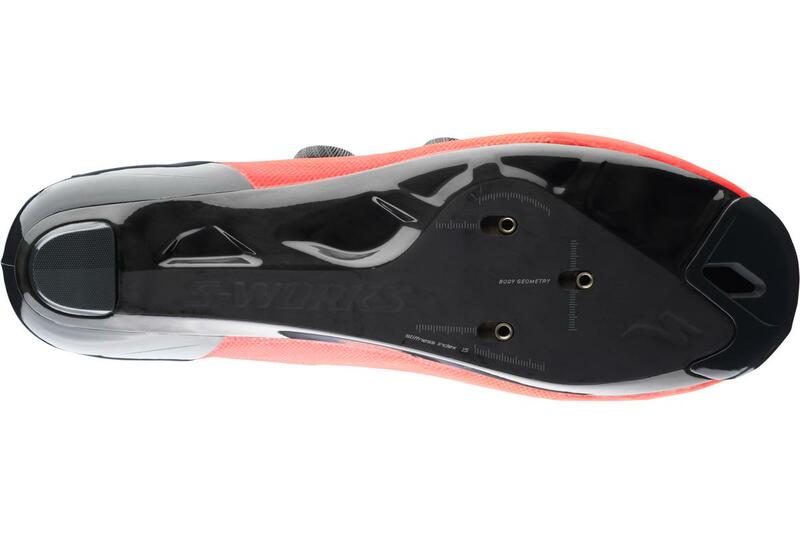 It has redesigned the carbon sole and has managed to reshape it so it can add the stiffness without also adding weight. The refined FACT Powerline carbon sole puts more material where it's needed and less where it's not needed, with scoops and ridges to deliver a Stiffness Index of 15.0. The weight of the shoe comes in at 224g per shoe for a size 42. 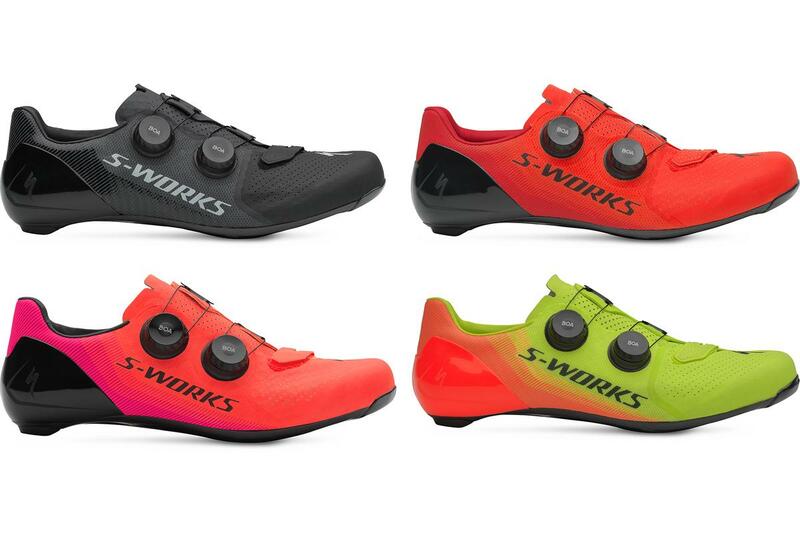 The new S-Works 7 shoes cost £330 and come in sizes 36 to 49 including half sizes, and there are five colours to choose from. 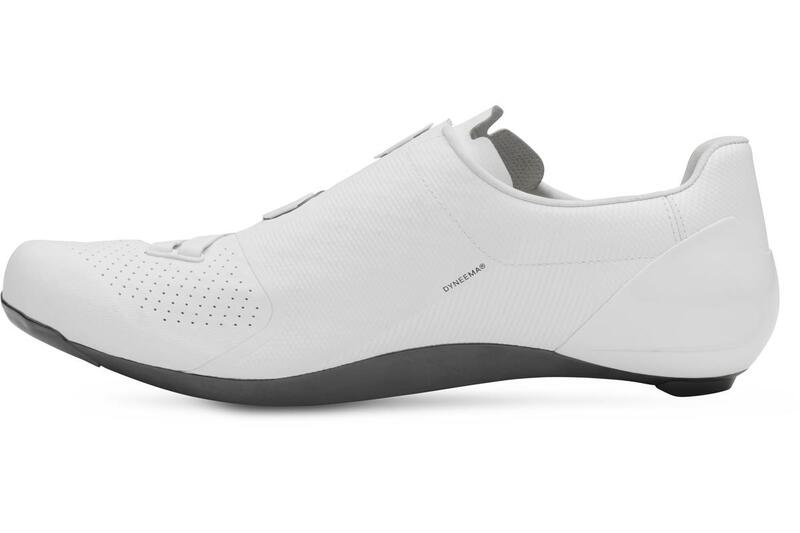 • Dyneema Mesh is trapped between layers of four-way stretch mesh and TPU to create no-stretch zones for the ultimate connection and comfort. • Independent alloy BOA S3-Snap dials for on-the-fly micro-adjustment, backed by the BOA Lifetime Guarantee.